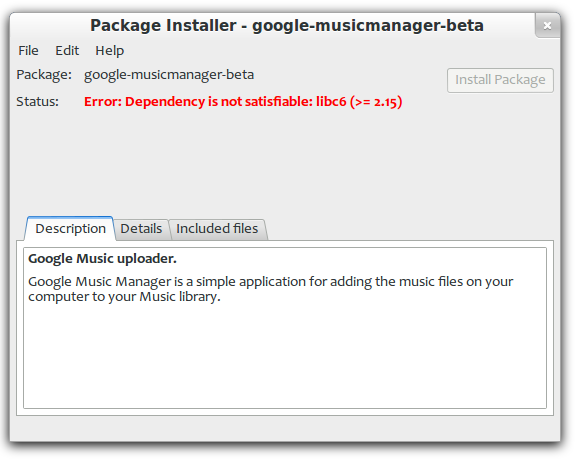 I downloaded Google-music-manager from here : https://play.google.com/music/listen#/manager. 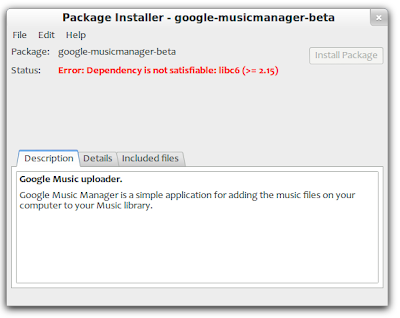 To have it work properly ( the "Upload" menu item missing and the "Options" item not doing anything ) I had to delete the ~/.config/google-musicmanager directory and start the manager again ( link ). 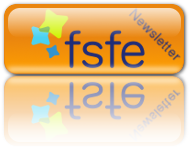 Additional link for download ( version 1.0.60.7918-r0 ) : here. 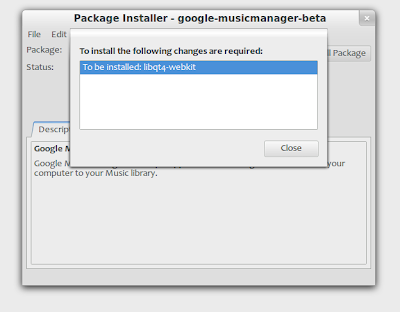 ( google-musicmanager-beta_current_amd64.deb ). thanks!! I was experiencing the same problems and you have given me the solution. google is stupid. 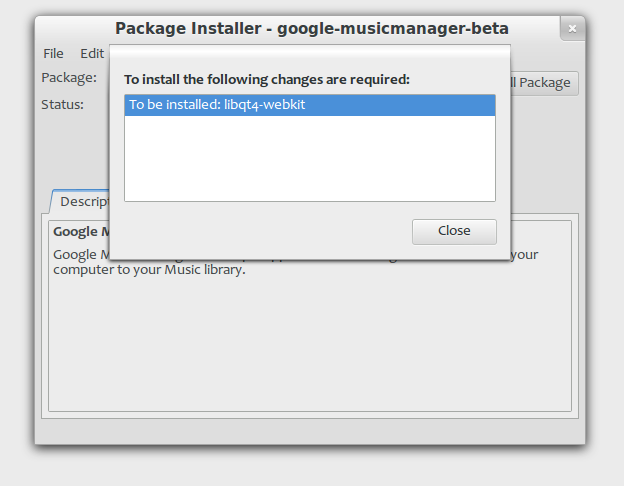 how do they dare to request unstable versions of libc6 to everyday users?